Sajnálatos incidens történt a Lhoce-falon, illetve az Everest-Lhoce 2-es táborában nyugati hegymászók (Ueli Steck, Simone Moro, Jonathan Griffith) és magashegyi serpa mászómunkások között. "A team of high altitude sherpas were 'fixing' the Lhotse face and the climbers were asked to not touch the fixed ropes they were establishing. As such the trio climbed about 50m away and to the side of the Sherpa team to avoid disturbing them in their work. It should be noted that all three climbers have extensive climbing experience all over the world and were very aware of the work being carried out by the Sherpas and the respect given to them for it. When the three climbers reached the height of their already established tent, they traversed across the snow and were forced to step over the lines of the Sherpas to reach their tent about 20 meters to the side. The climbers chose to step across the lines at a belay stance where 4 other sherpas were attached to the ice face whilst their lead climber continued to fix the line above. Stepping over the lines does not interfere in any way with the work being carried out. The climbers were soloing and not using ropes so there was no rope tangling either. In addition by passing beneath the lead climber no ice or snow could be knocked down on him.Jonathan Griffith was in the lead at this point and after crossing the rope and traversing another 15 meters on a snow ramp Ueli Steck followed. At the point where Ueli Steck stepped over the rope the lead climber noticed the climbers below and began shouting and banging the ice with his axe erratically. Still shouting down at the climbers, he fixed his rope and abseiled down to the belay stance. As Ueli was soloing and therefore not attached to a rope it was natural that he should hold his hands up to take the impact of the force arriving on him form the lead climber abseiling right on to him. This prompted the lead climber to accuse Ueli Steck of 'touching him'. In between hitting the ice with all his force and screaming at Ueli Steck 'why you touch me' he said that they had kicked ice down on them and injured a Sherpa. Seeing as the trio were climbing a completely independent line and entirely on snow this is highly unlikely. Ueli Steck tried to help calm the situation by offering to help fix the lines up to Camp 3 but this only made matters worse. 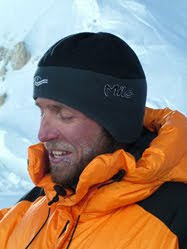 Simone Moro then joined the team and the lead climber turned on him wielding his ice axe in his direction. Simone swore at the lead climber as is the natural reaction when faced with this aggression. No amount of talking would calm the lead Sherpa down and as a final act of defiance he ordered his whole team of 17 Sherpas off the Lhotse Face and back to Camp 2. There was no reason to descend off the mountain because of the three climbers. They had not touched or interfered with the Sherpa's work. To help smooth things over Ueli Steck fixed a further 260m of rope to Camp 3.By the time the climbers descended back to Camp 2 some 100 Sherpas had grouped together and attacked the three climbers. They became instantly aggressive and not only punched and kicked the climbers, but threw many rocks as well. A small group of Westerners acted as a buffer between the out of control mob and the climbers, and they owe their lives to these brave and selfless people. Nevertheless all three climbers were attacked as well as many of the Westerners who were trying to calm the situation down. The climbers were told that by that night one of themwould be dead and the other two they would see to later. After about 50 minutes the crowd had calmed down and the climbers, who had been pushed away and told to hide, had regrouped and were told that if they weren't gone in one hour that they would all be killed.The climbers packed the bare essentials and made a circuitous route back down to the base of Mount Everest in heavily crevassed terrain with no rope on, feeling that given the current situation this was the safest place to be.The Sherpas said that the reason they attacked the climbers was because they had knocked ice down on a Sherpa below. As it stands no Sherpa has come forward to show any injury. Furthermore on an ice face getting hit by chunks of ice is a very natural occurrence. 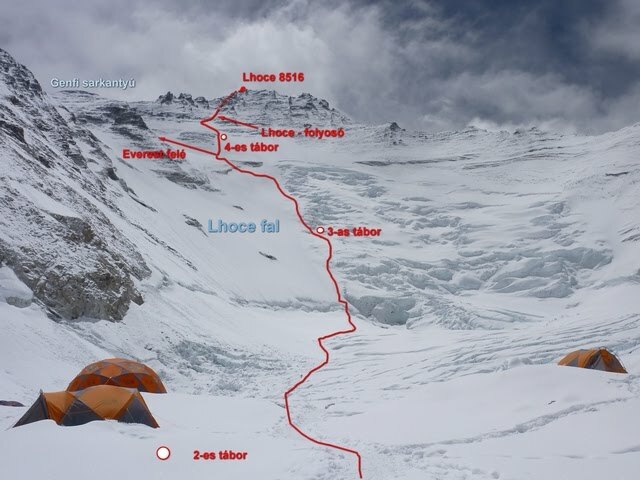 The climbers believe that the lead Sherpa was tired and cold and felt that his pride had been damaged as the three climbers were moving unroped and much faster to the side of him. Whatever the reason may be, there is no reason to instigate vigilante rule and to try and kill three visiting climbers.The Nepalese authorities have taken the matter very seriously as have commercial teams on the mountain. At the moment the 3 ring leaders have been taken off the mountain and the Police, Ministry of Tourism and the head of the Sherpa Association are investigating. The three climbers feel that they don't believe that their actions were the reasons behind such a mass attack. They believe that the reaction was from a far more deep rooted and long term problem, which is the way that Nepalis feel treated by Westerners on the mountain and this was an uprising against that. The three climbers are completely independent and not part of any commercial expedition.